In all honesty, I can't think of a single CRPG that focused purely on a modern-day espionage theme, and it's been nearly 20 years since I last dabbled with Top Secret (TSR's discontinued tabletop RPG). Considering the success of similarly themed movies and action games, it's surprising that such an interesting premise has rarely - if ever - been used for a role-playing video game. 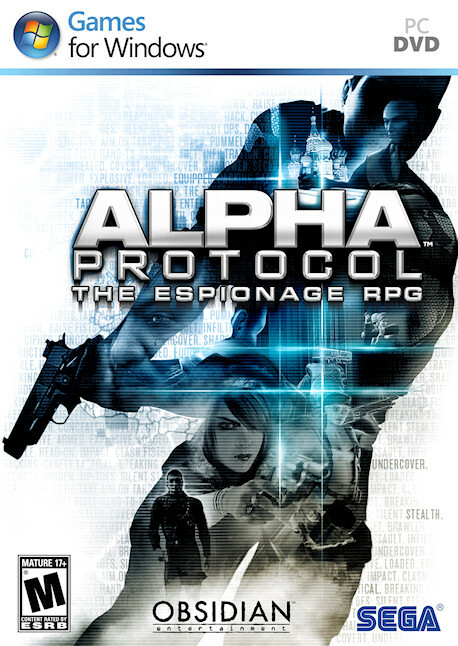 GB: Where do you currently stand with the development of Alpha Protocol? Have you recently reached any major milestones or ran into any unforeseen issues? Ryan: Currently we are at Alpha stage in development of Alpha Protocol. Reaching Alpha is huge for us because instead of just dealing with single elements of the game we are seeing all the pieces together. One interesting issue we had recently was that our A.I. turned into crack shots. In the past we could weave our way around and the bad guys would be firing wildly but not hitting the player that much. With a couple of tweaks the next time we tried that we started getting tooled and were forced to start using cover. Then the A.I. started laying suppression fire while another one of their squad would creep up for a more accurate shot. Needless to say there was some "WTF moments" because what used to be a walk in the park was now getting us killed. We still need to do some balancing but because of the A.I. actions the skills that the player chooses becomes more important. GB: Up to this point, we really haven't read much about character creation and advancement in AP. What skills, attributes, and other abilities will our character have access to in the game and what role will they play during combat and non-combat situations? Ryan: Character creation is pretty straight forward. The player gets to choose one of our premade archetypes and build from there or they can choose "Freelancer" and build their guy from scratch. As the player puts more points into certain skills, abilities start to unlock. Some of the abilities are passive in nature, others are activated. For example, if the player decides they want to invest points into Assault Rifles one of the immediate benefits is the ability to do a critical shot without having the reticule over a target. Meaning, if you know that a guy will be coming around a corner soon you could aim at the corner and prepare a critical shot whereas before the target had to be under the reticule for a certain amount of time before a crit was available. If the player continues to put points into Assault Rifles an ability called "Focused Aim" will unlock. Once Focused Aim is activated all the player has to do is go into aim mode, and the target will immediately be under the reticule. This powerful ability can let the player kill enemy targets from a great distance very quickly while the duration of Focused Aim is up. Some non-combat skills can make puzzles a lot easier. There will be times when the player will be confronted with a locked door. The only way to open it is by picking the lock (or bypassing the door controls if it's a high security door). If they don't have any points invested in their Infiltration skills it is more likely that when they do hack the door an alarm will be set off and they will have to deal with some very angry, well-armed, and actively scouting opponents, making the level a lot more difficult to get through. GB: You've previously stated that the player can join several different factions during the course of the game. Can you elaborate on what sort of organizations these might be? What advantages or disadvantages can we expect from joining some of them? Ryan: One of the factions the players could ally with would be the VCI. The Veteran Combat Initiative is a group of very well armed, trained, and financed mercenaries. These folks are all ex-soldiers from around the globe and, as mercs, they have no compunction about doing dirty jobs. One of the advantages with being their ally is their ability to mobilize very quickly and even help the player on missions. However, the VCI have many government agencies angry with them (maybe because of those pesky assassinations) so if you are allied with them you can pretty much expect a lot of governmental agencies to try and kill you on sight. GB: Can you give us a few examples of weapons and other spy-related gear that we'll be able to get our hands on in AP? Will we typically be purchasing these items from some sort of arms dealer or will they automatically become available (as mission rewards or loot) as the story progresses? Matt: You'll have a starting allotment of gear based on your background and you can acquire gadgets, armor, weapons, and upgrades to all of the above both by via black market arms dealers (where you'll get most of your stuff) and through exploring game areas and swiping things that aren't nailed down. The gear you'll find in Alpha Protocol is generally personality driven - in the sense that you never need to bring X or Y bit of gear to complete your objectives (though obviously a sensible inventory can help). Your inventory options are there to let you stylize how you handle situations. If you like avoidance (or have a pathological need to shoot people in the back), bring along a gadget for making innocuous noises that sends guards investigating in the wrong direction. While you're at it, bring along a silencer for your pistol - just in case you can't spare the minute to walk around that sentry on the other side of the room and would rather leave his children fatherless. Your inventory can also give you options to help overcome areas of the game you find challenging but would like to attempt nonetheless. If you're having a hard time being stealthy, bring along gadgets that will disable cameras or send in false 'all clear' communiquÃ©s if an alarm is raised. If you're good at sneaking but far less capable of holding your own when discovered, pack some medical supplies to last longer in a fight, or maybe some incendiary ordnance to lay down a smoke screen against snipers while simultaneously crisping nearby assailants.